Here is a sneak preview of one of the paintings I will be exhibiting in The Small Works exhibit at Some Space Gallery. This piece is mostly collage on canvas. 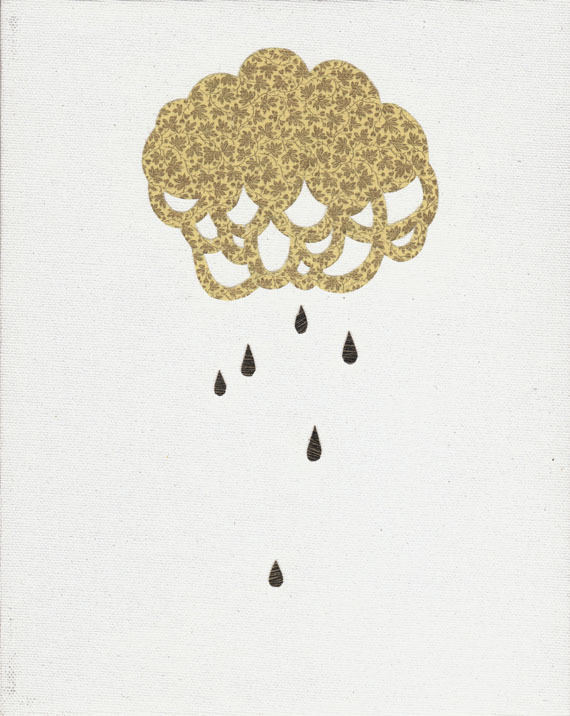 The gold cloud image was cut with an x-acto from this beautiful reflective gold paper that I found. The droplet forms are cut paper from an old etching that I did back during my undergraduate days at The University of Washington. I guess being a pack rat has it’s advantages. Once I had everything glued down to the canvas I sealed it with acrylic medium so it has a slightly glossy surface.